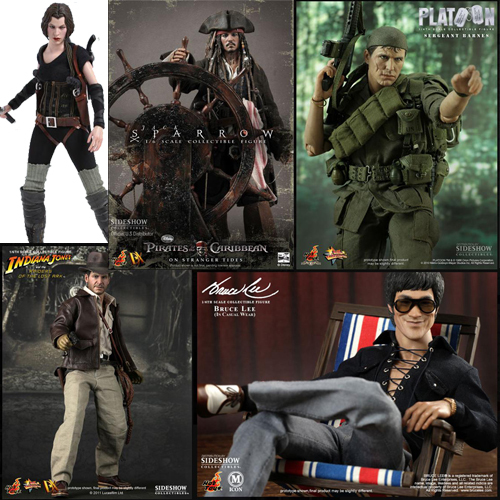 Established in 2000, Hot Toys is devoted to producing high quality and highly detailed collectibles with actual likeness, specializing in 1/6th scale (12”) figures of popular movie characters, video game characters, and world-renowned celebrity collectible figures. Hot Toys also produces busts, 1/6th scale vehicles, and other collectibles. We carry most 1/6th scale figures produced for movies and video games, but do sell out fast due to popularity and limited edition. 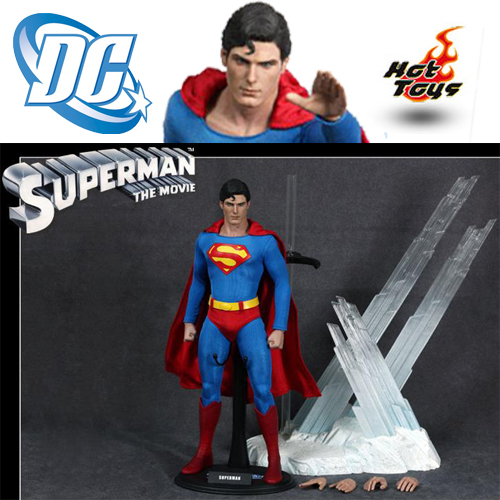 Hot Toys produces limited edition figures and busts for various DC Comics Movie properties. 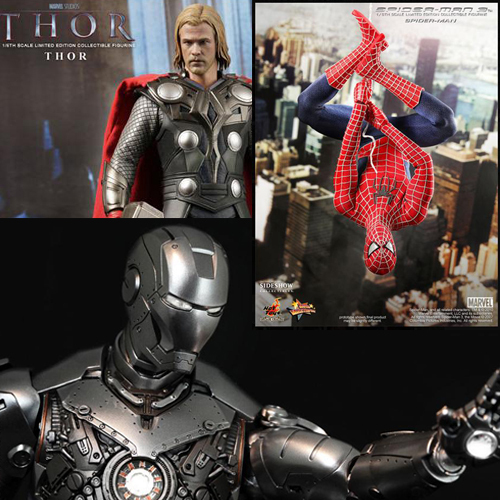 Hot Toys has produced a large variety of figures for Marvel movies. The extremely popular Iron Man line has spawned many figures and there are more to come. Be on the lookout for the upcoming Thor and Spider-Man line of figures, as well as others. We carry a wide range of Hot Toys figures based on movie characters and actors. Hot Toys are known for having amazing face sculpts, which capture the detailed likeness of every actor. 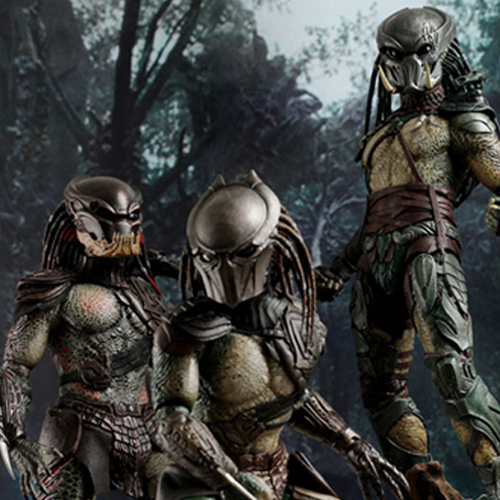 The Predators, 1/6th scale, 14" action figure line by Hot Toys is highly detailed and very collectible. The figures have over 20 points of articulation and come with switch-out hands, weapons, accessories, and light-up masks. Aside from the superhero and movie figures produced by Hot Toys, they also have a line of figures based on video game characters. 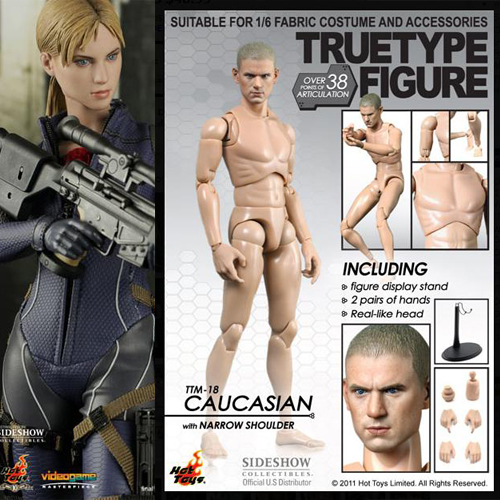 True Type figures are a line of figures used for customizing and to be used as an extra body for other Hot Toys figures, as some come with extra heads and outfits.